Kindly use the course application form to lodge your application. a. We have recently changed our email servers from a Danish server to a english language based server. If you have sent us any emails and it has not been replied to, please send it to us again. b. Under our course info, the prices for the course is stated to be CHF 40,000. That fee structure is not correct and will be updated very soon. Due to the low numbers in each intake, we have to re-structure fees according to prevailing conditions. Each applicant will only be given a fee estimate structure after they have sent an application CV. 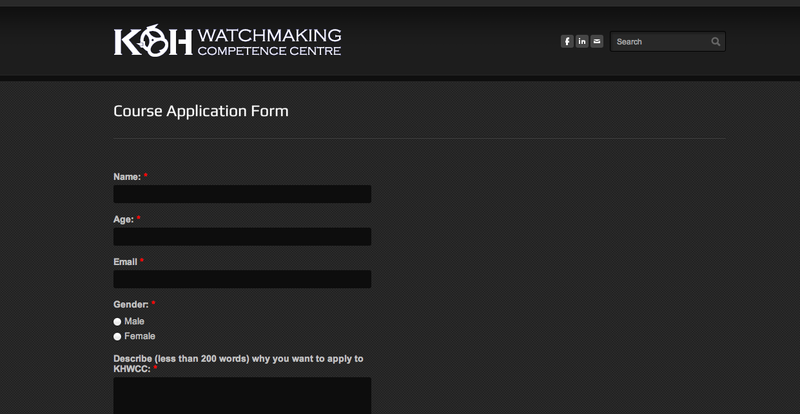 c. From experience, ALL applicants must attend a Taster programme before a bench test will be offered. 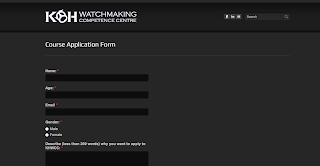 This is because many applicants do not have a realistic view of classical watchmaking training.